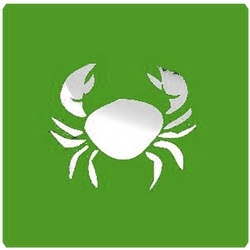 Cancer Moon Sign Karkat Rashi May 2019 Monthly Prediction . Cancer House is Ownes by Moon (Chandra). Moon sign (Rashi) Cancer means that Moon was present in Cancer Sign in birth time. If you do not know your moon sign, Please generate free Horoscope Prediction to know this. Please note that this is not Western Sun sign based prediction. Moon Astro Brings Free monthly report for Cancer Moon Sign.This prediction is based on Indian Vedic Moon sign (Rashi) based astrology. Family life prediction: You may face tension due to your familymembers and relatives or maybe for your near one during the first ten days ofthe month, though with the support of your mother things may improve a lot.Your wife may understand your situations and will help you during the difficulttimes, which is much needed in your life. Your family members will help you togrow as a better individually. This thing will help to be tension free in yourwork or business. Financial condition predictions:Finances will not exactly be yourstrong point in the month of May of the year 2019. You may not fulfil yourexpenses and will suffer a lot in financial condition. So it is better that youstart saving a little from the very beginning use every penny wisely as in thecoming months each of it will matter. Also try not to take money as it willonly increase your burden of money day by day. The expenses will surpassincomes and will lead to havoc if proper management of the saving is notinitiated. Job predictions: your work lifewill grow eventually and you may face contradiction in your job life with yourco-worker. You should also be a little conscious about your work. Though fromthe 20th day of the month your mentor may show some interest in you,and may give you a responsible project. This you should take as an opportunityto prove your value and your thinking capacity to the mentor as well as yourco-workers. Again during the last few days of the fourth week, you may facetension in your job. Business predictions: explore yourself in different ways in your business, becausechances of you cracking a jackpot in your business. 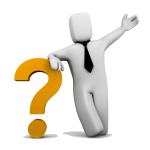 Try new things in yourbusiness, but do not over trust your business partner a lot. Over trusting isthe main cause of getting cheated. Stay away from the business rivals and growhigher and bigger. Though, you should keep yourself really safe during the 3rdweek of the month from your enemies. Health predictions: during the first week you will enjoy good health, but after few daysyour health condition may degrade but nothing to worry about. Over the entire monthyou will remain healthy and will also be reasonably successful in curing yourchronic ailments to a significant level. Though, stress will play a significantrole in deteriorating your health so it is highly advisable that you remaincalm and focus on your gaols only. . Personal life predictions: You may not experience your relationship to be runningsmooth. But slowly and with love, youll be able to control and enhance yourrelations for the better. Though, there may occur certain fights and arguments,but the trick is you will be able to handle those. Your relationship may not begood in the whole month, but with patience and effort, things will come around.It'll be advisable to maintain politeness and respect and control your temperwhile dealing with your partner. Prediction for Cancer (Karkat Rashi) April 2019 is here..